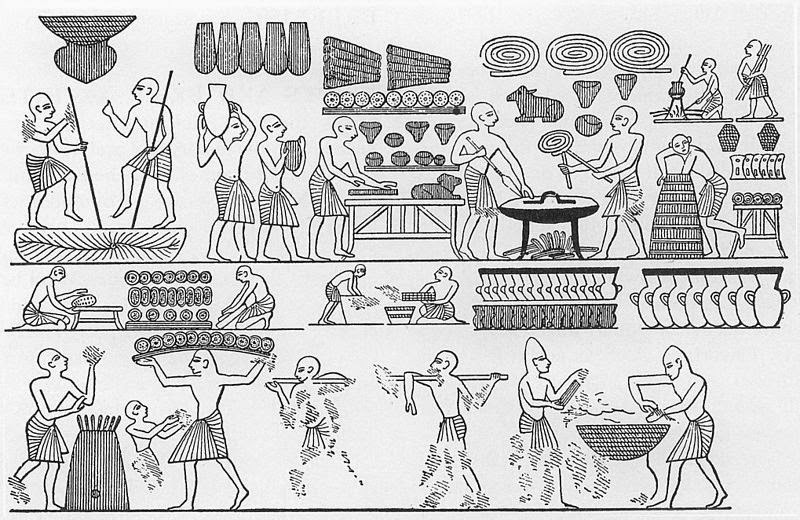 The Historical Cooking Project is proud to publish this guest post by Christina Wade on women in brewing history. Like its name suggests, my blog Braciatrix is specifically interested in the contributions of women to beer and brewing history. Inspired by the many amazing women of the modern industry, I decided to embark on a project detailing the history of female brewers, consumers, and sellers of beer. Weaving together the stories of real people with the literary tales and mythological figures, the central aim of Braciatrix is illuminate the pivotal role of women to the story of beer. The piece below details the contributions of Viking women to beer and brewing history. This is a particular area of interest for me as my PhD thesis was focused on the members of the Scandinavian Diaspora in Ireland. It has been absolutely frigid in Dublin lately and I have been experimenting with various types of hot beverages in an attempt to (briefly) combat the chill. 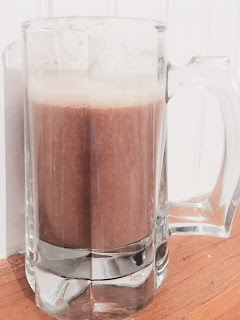 I have had my eye on making a warm, spiced beer cocktail called Flip for a few months now and decided that this cold January was the perfect excuse to give it a whirl. I opted to go with an English Strong Ale as I think it will really lend itself to the flavours of this finished drink. I turned my hob to medium-high heat and poured in the beer letting it get to a boil. I prepped the eggs as directed and added in four tablespoons of dark brown sugar and ¼ teaspoon nutmeg. I also elected to add cinnamon, and allspice in the same amounts. Now here was the tricky part – the pouring of the boiling liquid back and forth. I am quite clumsy by nature and was convinced I was going to end up wearing most of this so I got out my biggest thickest oven mitts and went to work until it was, ‘smooth and finely frothed’. And the verdict? It was really delicious. Smooth and creamy with a lovely sweetness from the brown sugar and malts. 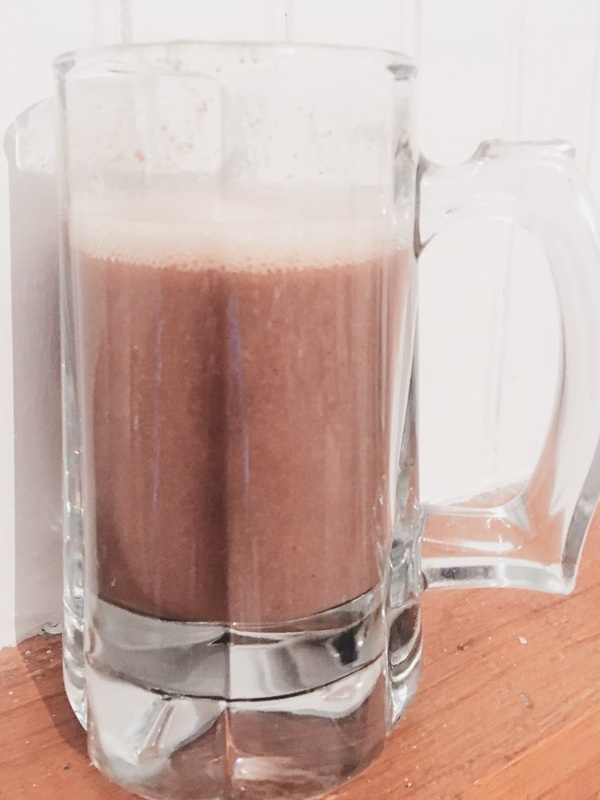 The nutmeg, cinnamon, and allspice added a wonderful depth to the drink. Making the Ale Flip also gives me a great excuse to write about other warm winter seasonal beverages, and my personal favourite: the Viking tradition of Jólöl, or Yule ale. And since this is Braciatrix, we are going to talk about those people who most likely made the majority of the beer in this period; that is of course, women. I will begin by summarizing some of my previous research on this Jólöl. Yule, or Jól in Old Norse, occurred roughly from mid-November to early January. It was a crucial holiday in the Viking belief system and was associated with complex rituals including the Jólablót, literally ‘Yule sacrifice’. For the festivities, special beers were brewed, drank and sacrificed to Odin, as well as other gods of the Norse pantheon like Frey. 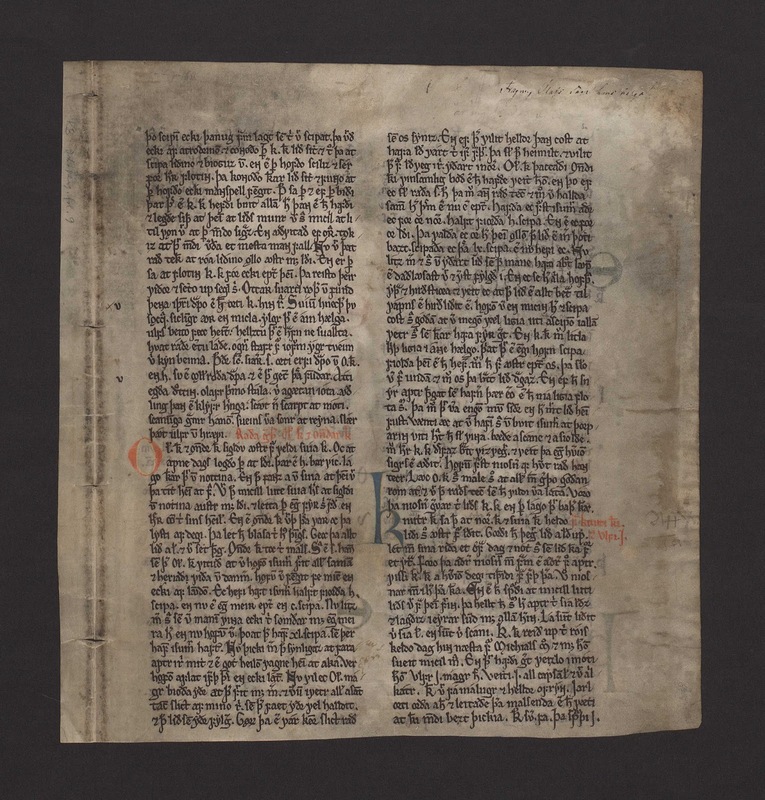 The Heinkringla, or the Sagas of the Old Norse Kings, was composed by Snorri Sturluson circa 1230CE. What is of particular interest to our study of Yule beer is the saga of King Haakon of Norway who lived from approximately from 920-961 CE. This saga indicates how important the brewing of specific beer was to these Yule celebrations. According to the Haakon’s law in the saga: Ok skyldi þá hverr maðr eiga mælis öl, which I’ve translated to ‘and every man is obliged to have a measure of ale’ or, gjalda fé ella ‘or else they have to pay fé’, Old Norse for assets, livestock or money. Mælis öl is the important phrase meaning ‘measure of ale’, and according to Richard Cleasby and Gudbrand Vigfusson, this means about six and half gallons. So essentially Haakon is stating that every freeman, of a certain status, is required to have this amount of beer brewed for the Yule festivities. This Yule ale would become associated with Christmas as this same king commuted the pagan holiday to the Christian one. 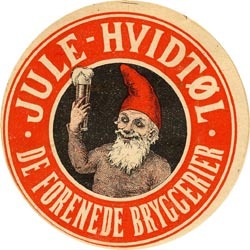 The importance of this ale is echoed in legal codes such as the Gulaþingslova, which demonstrates not only the importance of both brewing this ale and hosting a party to go along with it. The law required freemen, of particular rank, in groups of at least three to come together to brew beer for ale feasts; one of which was to be held at the Holy Night. If three winters passed without this occurring the man will have ‘forfeited his goods to the last penny’ and if he further refuses he is then banished from Norway entirely. 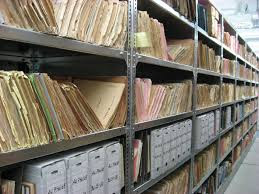 As I’ve mentioned before, using the sagas is not without issues, mainly because most of these were written well after the people in them were long dead; long, long, long, long dead. But as sources go, they make up the majority of textual accounts of the Viking period and so it’s up to scholars to try to disentangle the contemporary bias from the historical accounts. This is not always successful and often leads to glaring misconceptions. However, they can be quite valuable when used with caution. So for our purposes today, I am going to use a few examples from these, *carefully*. We find in Hálfs saga ok hálfskrekka or The Saga of Half and his Heroes, the story of a king named Alrek and his wives (that’s right, two of them). Here is the translation by Peter Tunstall that I’m using if you want to read the rest of the tale. Alrek was already married to a woman called Signy and then was struck by the beauty of another woman called Geirhild, who he came upon ‘brewing ale’. So he decided to marry her as well… Now the king couldn’t remain married to the pair of them ‘on account of their squabbles’ and so he decided to ‘keep the one who made him the best ale when he came home from summer’s raiding’. Geirhild entreated with Odin who decided to spit on her yeast and she won the contest. Right, so do we really think this happened? No. But what it does illuminate is that women were certainly brewing ale. Indeed, it is not viewed as remarkable in the least that Geirhild was brewing, nor is it shocking that Alrek’s other wife Signy would be able to brew as well in order to compete. So this does support the arguments that women were brewing in the Viking period. 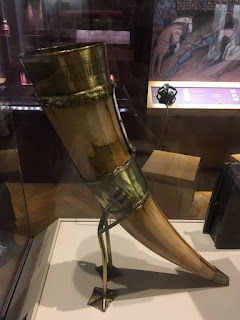 Medieval Drinking Horn in collection at National Museum of Ireland- Archaeology. 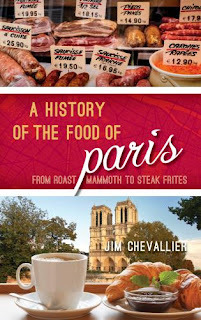 Blithely with Guthrun | young beasts fresh slaughtered." If you want to read the rest, which I highly recommend as this story is fascinating, here is the Henry Adams Bellows translation I used above. It’s from 1936, and the language is a bit…archaic, but it’s still great, and most importantly, it’s free! Viking Ladles in collection at the National Museum of Ireland- Archaeology. 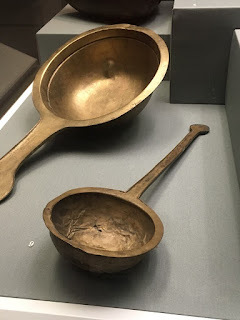 Ladles such as these could be used by women of high rank to serve ale. Image is author’s own. It’s clear from this very brief overview that women played a central role in both serving and brewing ale; ale that was critical in the Viking Age. Furthermore, one of their rituals, that of making Jólöl, has been reflected in traditions over the centuries, as seen for example in our modern Christmas beer or other winter warming styles. Dr. Christina Wade graduated with her PhD in History/Archaeology from Trinity College Dublin in 2017. During the course of her official PhD work she simultaneously researched women’s beer history, which has become her central focus. In addition to her Braciatrix blog, she is currently working on a monograph detailing this research. As President and Founder of the Ladies Craft Beer Society of Ireland she hosts events, beer tastings, brewery tours all over Ireland. [i] Jerry Thomas & Christian Schultz, How to Mix Drinks, Or, The Bon-vivant's Companion Containing DIrections, (New York, 1862), pp. 60-61. [ii] Jenny Jochens, Women in Old Norse Society, (Ithaca, 1995), p. 127. [iii] Michael J. Enright, Lady with the Mead Cup: Ritual, Prophesy and Lordship in the European Warband from La Tène to the Viking Age, (Dublin, 1996), p. 126. [vii] Enright, Lady with the Mead Cup, p. 80. [viii] Shelia Raven, ' The Scandinavian Bowls’ in Rupert Leo Scott Bruce-Mitford (author), The Corpus of Late Celtic Hanging-bowls with an account of bowls found in Scandinavia by Sheila Raven, (Oxford, 2005), p.60. [ix] Raven, 'Bowls', p. 43. [xi] Enright, Lady with the Mead Cup, p. 104.